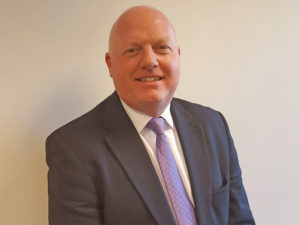 Strong retail demand for used cars is offsetting the high volume of PCP cars coming back into dealers as part exchanges, according to the Aston Barclay Group. Martin Potter, Aston Barclay’s group operations director. Although industry pundits were worried how the volume of PCP part exchanges coming back into the dealers would impact on the market, Aston Barclay reports very strong demand from franchised and independent dealers at auction as they respond to healthy retail demand. In response, Aston Barclay has seen conversion rates of 80-90% being achieved across the group for the year to date. Martin Potter, Aston Barclay’s group operations director, commented: “In our experience PCP has helped dealers plan their used stock better as they know what part exchanges are coming back and when. “They can then proactively decide which cars to retail and which ones will be sent to auction. They are buying used cars to fill the gaps they have in their stock or to replace sold ex-PCP stock,” he explained. “Used PCP schemes are helping feed the retail demand, only time will tell if the used market starts to cool down as is traditional during the Easter holidays this April,” added Potter.